Few weeks back we told you about the iPad 2 Jailbreak which was named as “Elevat0r” by i0n1c. Obviously every one was so excited that the Jailbreak for iPad 2 will be called Elevat0r. To clarify it once again. I don’t have an iPad2 Jailbreak, I don’t even have an iPad2. I just have problems with the ELEVATOR in my home. That was a nice prank by the people and i0n1c. But today i0n1c Tweeted a website named as elevat0r.com. The website says it all. 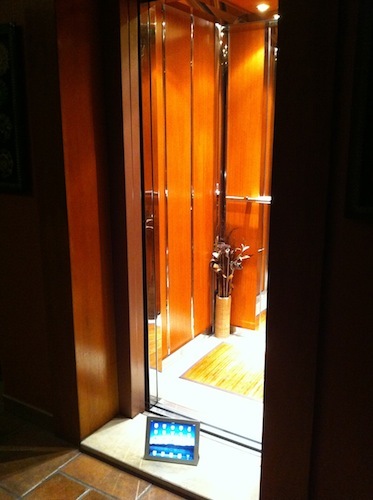 The above picture shows that the iPad 2 is waiting for the elevat0r. This is something really crazy. If your iPad 2 is also waiting for the Elevat0r, take a picture of it and send to this Email ID (elevator@nopiracy.de).